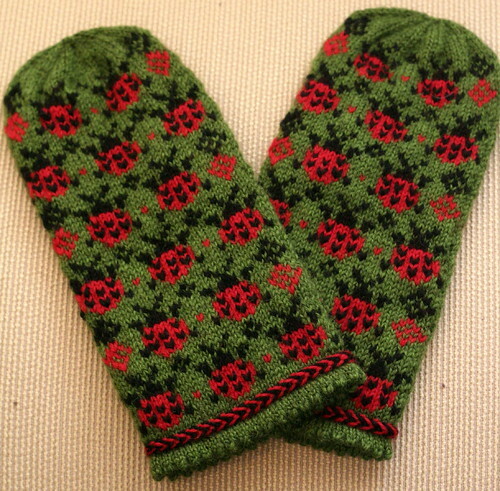 These mittens take their name from the Sesame Street counting sketch about a ladybug picnic. 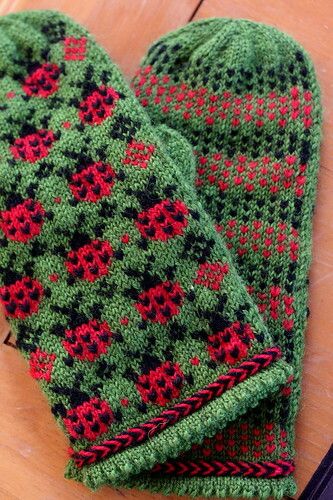 In the XS child-size mitten, like in the song, there are twelve ladybugs, although the larger sized mittens have fifteen ladybugs. 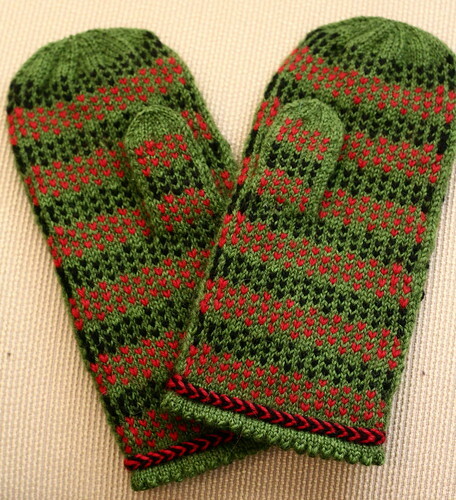 The mittens feature a picot cuff and red and black braid at the cuff, a peasant thumb, and a rounded top. 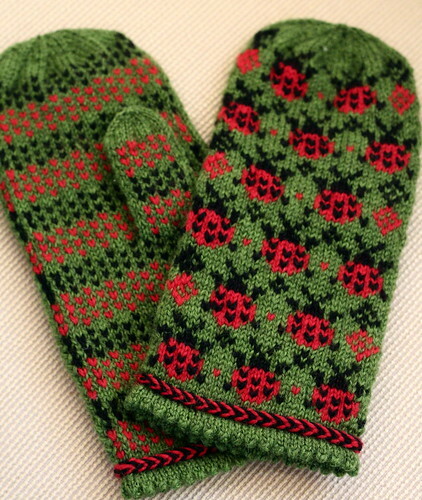 The ladybugs are knitted into the mitten; however, the bugs’ spots and feet are duplicate stitched on afterwards. 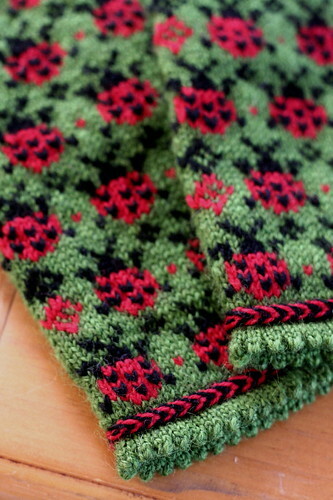 This pattern is available as a Ravelry download for $6.00. Reading a chart, using a provisional cast-on, knitting in the round, knitting with two colors, decreasing, picking up stitches, duplicate stitching. Brown Sheep Nature Spun Sport [100% wool; 184 yd (168 m); 50 g skein]; colors: 144 Limestone (green), 1 (1, 2, 2) skeins, N46 Red Fox (red), 601 Pepper (black), 1 skein each.